Baird’s team of specialized professionals researches, sells and trades a full range of fixed income securities for institutional investors. 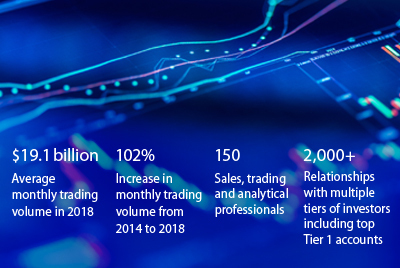 Strategically growing our team by adding more than 70 professionals since 2014, we continue to expand our product expertise and services to better fit the needs of our clients and institutional investors. Learn more about our Fixed Income expertise.